When we last saw police officer Brinna Caruso in Critical Pursuit, she and her temporary partner Jack O’Reilly were busy saving kids from a child abductor. Now she’s back along with her K-9 partner, Hero. When Jack asks her for help taking down a human trafficking organization, Brinna jumps at the chance to save more girls and spend more time with a certain ex-partner of hers. When I read Critical Pursuit, I described the story as being explosive and the characters real. Visible Threat does not disappoint as a sequel! In fact, it was even better than the first. The characters grew in both their relationships with each other and with God. Then there was the story of sisters Ivana and Villie, who were forced into slavery. Their account was heart-wrenching, especially knowing that human trafficking is real and happens every day. What I appreciated most about both books was that they were raw. Janice Cantore did a wonderful job of bringing us readers into the world of a cop. 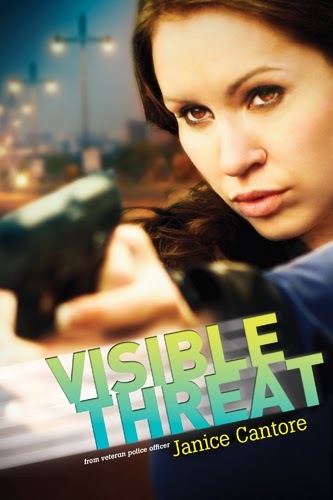 Visible Threat was exciting, romantic, suspenseful, emotional, and inspirational! I really liked it and will definitely recommend this book to others! **I received this book from Tyndale House Publishers in exchange for my honest review. All thoughts are entirely my own.